American actor and model, Jason Momoa is popularly known for playing Khal Drogo in the HBO fantasy television series Game of Thrones. He is also known as Ronon Dex on the military sci-fi TV series, Stargate Atlantis. He worked in several movies and TV series from where he earns a good net worth and salary. Regarding his personal life, Momoa is a married man who tied the knot to his childhood crush Lisa Bonet. The couple shares two children together. He was born as the only child of artist parents; mother Cony Momoa who is a photographer and father Joseph Momoa who is a painter. 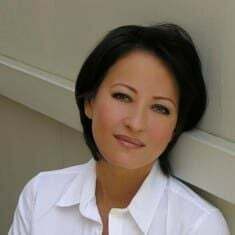 Her father is of Native Hawaiian descent and mother is of German Irish, and Native American ancestry. As a child, he read story books and practiced writing. He has got mixed ancestry of Native America and Europe, he is an American by nationality and belongs to White-American ethnicity. Momoa studied his school in Hawaii and practiced acting in his theatre as well as school. Upon his high school graduation, he studied marine biology and majored in wildlife biology after he was transferred to Colorado State University. He also studied pastel painting and traveled to France and worked in Paris. He also went to Tibet, where he studied the principles of Buddhism. Jason Momoa began his career as a model, he was found by designer Takeo Kobayashi, who encourage him to build his career in modeling. In 1999, he won Hawaii's Model of the Year and later hosted the Miss Teen Hawaii. At the age of 19, he did a part-time job in a surf shop. 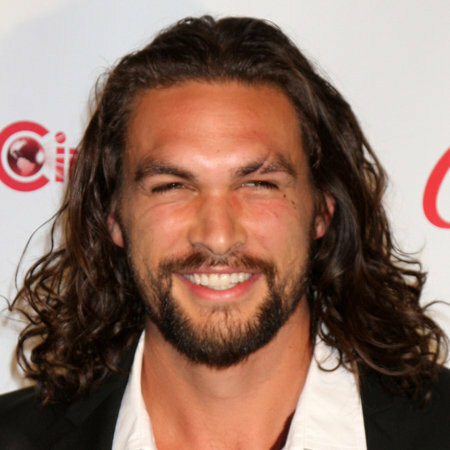 Momoa made his acting debut with the television film Baywatch Hawaii at the age of 19. 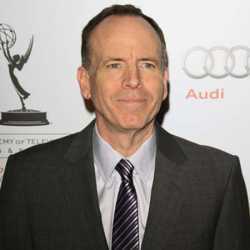 He was associated in the series from 1999 to 2000 appearing in 39 episodes. He shared the screen with David Hasselhoff, Pamela Anderson, and Alexandra Paul. He then appeared in several TV series and TV film like Baywatch: Hawaiian Wedding, North Shore, Stargate Atlantis, and The Game among others. His trademark appearance in the fifth season of Broken Ties in the TV series, Stargate Atlantis was marked with his dreadlock hairstyle. Although his director asked him to cut it off, he kept it through the first few shots which later became his trademark. He started his directorial career with movie Road To Paloma which was a drama film. In the series, he portrayed the role of Satedan, Ronon Dex. The series starred Joe Flanigan, David Hewlett, and Rachel Luttrell. His breakthrough came in 2011 in HBO's fantasy TV series, Game of Thrones. In April 2011, HBO started airing a new fantasy series, Game of Thrones, and Jason Momoa appeared in the role of Khal Drogo, a barbarian leader of a tribe called Dothraki. However, he died in the show’s ten-episode but his roles impressed his viewers. Momoa grabbed a huge fan following from his role in the TV series. He shared the screen with Emilia Clarke, Kit Harington, Sophie Turner, and Peter Dinklage. 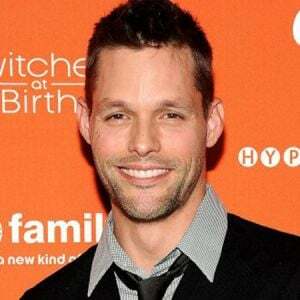 His role in the series helped him to win CinemaCon Award and also has been nominated for Scream Awards and Screen Actors Guild Award. Since 2016, Momoa is working in Netflix's historical drama TV series, Frontier where he worked with Landon Liboiron, Jessica Matten, and Allan Hawco. The actor has been nominated for Canadian Screen Award for his performance in the series. Momoa made his movie debut in 2004 as Navarro in Christopher Erskin's movie, Johnson Family Vacation. In 2011, he worked as Conan, the only survivor in sword and sorcery film, Conan the Barbarian for which he was awarded by CinemaCon Award. The movie starred Rachel Nichols, Rose McGowan, and Stephen Lang. In 2014, Momoa made his debut as a producer and co-writer in the drama thriller movie, Road to Paloma. The same year, he appeared in the horror film Debug directed by David Hewlett. The same year, DC extended Universe signed him for the role of Aquaman in the Superhero film Batman v Superman: Dawn of Justice (2016). Aquaman is a DC’s superhero based on DC’s comic character of the same name who is king of the seven seas. In 2017, Jason Momoa reprised the role of Aquaman in the DC’s another film Justice League. He is also star in an Aquaman’s solo film which will release in 2018. Johnson Family Vacation (2004) $12 million $31.5 million 4.4 Cedric the Entertainer, Bow Wow, and Vanessa L. Williams. Batman v Superman: Dawn of Justice (2016) $300 million $873.6 million 6.6 Henry Cavill, Ben Affleck, and Amy Adams. Justice League (2017) $300 million $657.9 million 6.6 Ben Affleck, Gal Gadot, and Ezra Miller. Momoa earns a huge salary from his role in several popular TV series like Game Of Thrones and Frontier. Besides, he owns a house and has a collection of luxury cars like Audi, Jeep, and many more that worth $thousand. Moreover, Momoa is involved in several charitable works. He along with Mada Abdelhamid joined the forces with Water is Life Charity. Jason Momoa is a married man. The Game of Thrones star is married to actress Lisa Bonet. The couple was introduced for the first time in 2005 with the help of their mutual friends. They dated five years before getting engaged in 2004. Although many sources claimed that they got married in 2007 but they legally tied the knot in 2017. Furthermore, the couple shares two children together; a daughter and a son. Their daughter, Lola Iolani Momoa who was born on 23rd July 2007 whereas their son, Nakoa-Wold Manakauapo Namakaeha Momoa was born on 15th October 2008. Momoa's mother announced the name of his son stating Nokia means ''the warrior, Mana means ''strength'', and Kaua stands for ''rain'' whereas Po for ''dark.'' Momoa also has a step-daughter Zoe Isabella from his wife's former husband Lenny Kravitz. Previously, Momoa got engaged to Australian actress Simmone Jade Mackinnon. He has been in a romantic relationship with Mackinnon with whom he was from 2004 to 2006. After breaking up with her, he married his current girlfriend turned wife. Height = Jason Momoa stands at the height of 6 feet and 4 inches. Weight = He weighs 235 pounds. Age = As of 2018, his age is 39.